I am thinking of publishing my next book as an e-book, so I will sell books at such outlets as smashwords and kindle. If there is enough call for it, I might consider using a print-on-demand service. This entry was posted in Book Marketing Case Studies, Book Marketing Insider Secrets and tagged Book Marketing, case study, Chris F.A. 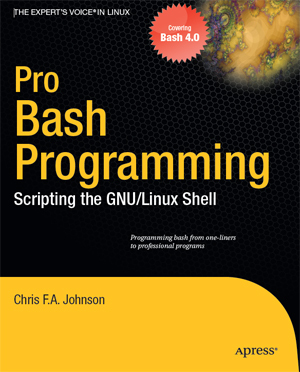 Johnson, computer programming, pro bash programming. Bookmark the permalink.